Donated bodies play an essential role in medical education, training and research. Cadavers and body parts are used to train medical students, doctors, nurses and dentists. Surgeons say no mannequin or computer simulation can replicate the tactile response and emotional experience of practicing on human body parts. Paramedics, for example, use human heads and torsos to learn how to insert breathing tubes. Researchers rely on donated human body parts to develop new surgical instruments, techniques and implants; and to develop new medicines and treatments for diseases. Despite the industry’s critically important role in medicine, no national registry of body brokers exists. Many can operate in near anonymity, quietly making deals to obtain cadavers and sell the parts. In most states, anyone can legally purchase body parts. As an upcoming story will detail, a Tennessee broker sold Reuters a cervical spine and two human heads after just a few email exchanges. Through interviews and public records, Reuters identified Southern Nevada and 33 other body brokers active across America during the past five years. Twenty-five of the 34 body brokers were for-profit corporations; the rest were nonprofits. In three years alone, one for-profit broker earned at least $12.5 million stemming from the body part business, an upcoming Reuters report will show. Because only four states closely track donations and sales, the breadth of the market for body parts remains unknown. But data obtained under public record laws from those states – New York, Virginia, Oklahoma and Florida – provide a snapshot. Reuters calculated that from 2011 through 2015, private brokers received at least 50,000 bodies and distributed more than 182,000 body parts. Permits from Florida and Virginia offer a glimpse of how some of those parts were used: A 2013 shipment to a Florida orthopedic training seminar included 27 shoulders. A 2015 shipment to a session on carpal tunnel syndrome in Virginia included five arms. As with other commodities, prices for bodies and body parts fluctuate with market conditions. Generally, a broker can sell a donated human body for about $3,000 to $5,000, though prices sometime top $10,000. But a broker will typically divide a cadaver into six parts to meet customer needs. Internal documents from seven brokers show a range of prices for body parts: $3,575 for a torso with legs; $500 for a head; $350 for a foot; $300 for a spine. Body brokers also have become intertwined with the American funeral industry. Reuters identified 62 funeral operators that have struck mutually beneficial business arrangements with brokers. The funeral homes provide brokers access to potential donors. In return, the brokers pay morticians referral fees, ranging from $300 to $1,430, according to broker ledgers and court records. These payments generate income for morticians from families who might not be able to otherwise afford even simple cremation. But such relationships raise potential conflicts of interest by creating an incentive for funeral homes to encourage grieving relatives to consider body donation, sometimes without fully understanding what might happen to the remains. Some morticians have made body donation part of their own businesses. In Oklahoma, two funeral home owners invested $650,000 in a startup body broker firm. In Colorado, a family operating a funeral home ran a company that dissected and distributed body parts from the same building. When a body is donated, few states provide rules governing dismemberment or use, or offer any rights to a donor's next of kin. Bodies and parts can be bought, sold and leased, again and again. As a result, it can be difficult to track what becomes of the bodies of donors, let alone ensure that they are handled with dignity. In 2004, a federal health panel unsuccessfully called on the U.S. government to regulate the industry. Since then, more than 2,357 body parts obtained by brokers from at least 1,638 people have been misused, abused or desecrated across America, Reuters found. The count, based on a review of court, police, bankruptcy and internal broker records, is almost certainly understated, given the lack of oversight. It includes instances in which bodies were used without donor or next-of-kin consent; donors were misled about how bodies would be used; bodies were dismembered by chainsaws instead of medical instruments; body parts were stored in such unsanitary conditions that they decomposed; or bodies were discarded in medical waste incinerators instead of being properly cremated. Most also insist they don’t “sell” body parts but instead only charge “fees” for services. Such characterizations, however, are contradicted by other documents Reuters reviewed, including court filings in which brokers clearly attach monetary value to donated remains. A lien filed by one body broker against another cited as collateral “all tissue inventory owned by or in the possession of debtor.” In bankruptcy filings, brokers have claimed body parts as assets. One debtor included as property not only cabinets, desks and computers, but also spines, heads and other body parts. The bankrupt broker valued the human remains at $160,900. Last December, Reuters reported that more than 20 bodies donated to an Arizona broker were used in U.S. Army blast experiments – without the consent of the deceased or next of kin. Some donors or their families had explicitly noted an objection to military experiments on consent forms. Family members learned of the 2012 and 2013 experiments not from the Army but from a Reuters reporter who obtained records about what happened. In another case, Detroit body broker Arthur Rathburn is scheduled to stand trial in January for fraud, accused of supplying unsuspecting doctors with body parts infected with hepatitis and HIV for use in training seminars. U.S. officials cited the case as an example of their commitment to protect the public. But Reuters found that, despite warning signs, state and federal officials failed to rein in Rathburn for more than a decade, allowing him to continue to acquire hundreds of body parts and rent them out for profit. He has pleaded not guilty. 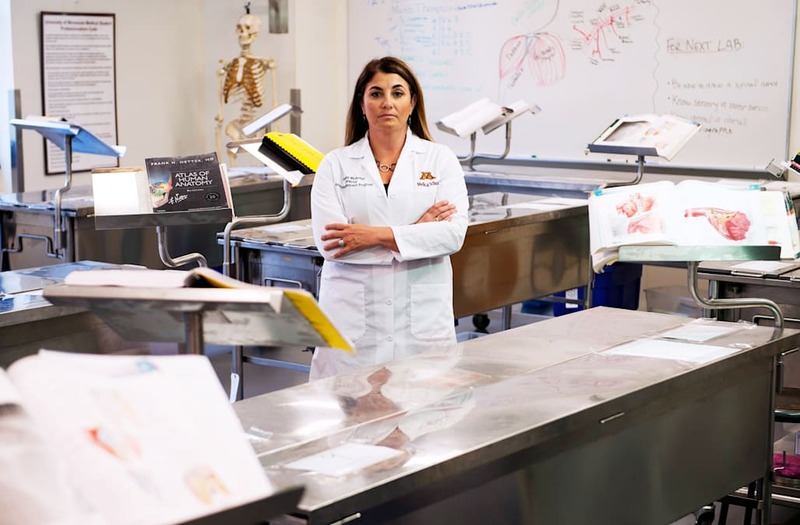 Given the number of body brokers that currently operate in America, academics and others familiar with the industry say regular inspections of facilities and reviews of donor consent forms wouldn’t place a big burden on government. Body brokers range in size from small, family-operated endeavors to national firms with offices in several states. Brokers also vary in expertise. Garland Shreves, who founded Phoenix broker Research for Life in 2009, said he invested more than $2 million in quality-control procedures and medical equipment, including $265,000 on an X-ray machine to scan cadavers for surgical implants. But other brokers have launched their businesses for less than $100,000, internal corporate records and interviews show. Often, the largest capital expenses are a cargo van and a set of freezers. Some brokers have saved money by using chainsaws to carve up the dead instead of more expensive surgical saws. Brokers can also reduce expenses by forgoing the meticulous quality control procedures and sophisticated training called for by a national accreditation organization, the American Association of Tissue Banks. Steven Labrash, who directs University of Hawaii’s body donation program, said the Avery case illustrates the need for laws to protect donors. Avery defended how he ran his business and said the incidents were the result of misunderstandings. He said he is now raising capital for a new company, Hawaii BioSkills, which he said will use body parts to train surgeons. 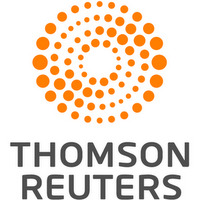 Even so, a third of the 34 brokers Reuters identified went bankrupt or failed to pay their taxes, according to court filings. When failing businesses in the industry cut corners to save money, the consequences for the families of donors can be emotionally wrenching. Harold Dillard worked with his brother resurfacing bathtubs and kitchen countertops in Albuquerque, New Mexico. He was diagnosed with terminal cancer the day after Thanksgiving in 2009. As her father lay dying, Fasold said, employees from Albuquerque broker Bio Care visited father and daughter, and made a heartfelt pitch: The generous gift of his body to science would benefit medical students, doctors and researchers. Fasold said Bio Care cited several sample possibilities, including that her father’s body might be used to train surgeons on knee replacement techniques. Fasold’s view of Bio Care soon changed. It took weeks longer than promised to receive what she was told were her father’s cremated remains. Once she received them, she suspected they were not his ashes because they looked like sand. She was correct. In April 2010, Fasold was told by authorities that her father’s head was among body parts discovered at a medical incinerator. She also learned – for the first time, she said – that Bio Care was in the business of selling body parts. Bio Care owner Paul Montano was charged with fraud. According to the police affidavit, Montano denied abusing bodies and told detectives that he ran Bio Care with “five volunteer employees,” including his father. He did not respond to requests for comment. Prosecutors later withdrew the charge against Montano because they said they could not prove deception or any other crime. No other state law regulated the handling of donated bodies or protected the next of kin. Confused and outraged, Fasold spoke by phone with Kari Brandenburg, then the district attorney in Bernalillo County. Fasold recorded a portion of the call. “What happened was horrible, but New Mexico law is silent on this kind of activity,” Brandenburg told Fasold. The prosecutor said that, although Montano was perhaps “the worst businessman in the world,” his failures were due in part to deals that fell through. Authorities ultimately recovered the other body parts of Fasold’s father and returned them to her for proper cremation. Some had been found in tubs at the incinerator and some at the Bio Care facility. Fasold said in an interview she is surprised that the law hasn’t been changed to protect relatives. Partnerships between body brokers and funeral homes can sometimes yield sizeable businesses. In 2009, Oklahoma funeral home owners Darin Corbett and Hal Ezzell invested $650,000 for a 50 percent stake in a company created by former executives of a large Phoenix-based body broker, court records show. According to an investor prospectus reviewed by Reuters, the new firm’s five-year revenue forecast was $13.8 million based on 2,100 donated bodies. “Darin and I felt like we had, through our funeral home ties, the ability, if we wanted, to encourage donors,” Ezzell said in an interview. The Norman, Oklahoma firm, United Tissue Network, converted to nonprofit status in 2012 to comply with a change in state law. But a for-profit company co-owned by Ezzell, Corbett and United Tissue President David Breedlove is paid to provide management services, leased equipment and loans. In 2015, for example, their nonprofit paid their for-profit $412,000 for services, tax records show. Ezzell and Corbett said they are passive investors. But, Corbett added, “we suggest families consider (United Tissue) first because they are local and time delay is critical,” obliquely referring to the fact that bodies decompose quickly. The nonprofit United Tissue also has supplied donated human remains to Breedlove’s for-profit company, Anatomical Innovations. That company sold authentic human skulls, elbows, livers and eyeballs, among other body parts. Online, it advertised free shipping on purchases over $125. After inquiries from Reuters, Breedlove closed Anatomical Innovations. “Our consents are pretty clear about what the anatomical uses may be,” he said. According to Oklahoma state filings obtained under public records laws, United Tissue has grown steadily. From 2012 through 2016, United Tissue received 3,542 bodies. Almost half were referred by funeral homes. Ezzell said that last year, no more than 10 percent came from mortuaries owned by Corbett or him. During that five-year period, the records show, United Tissue distributed 17,956 body parts to clients. Supply has sometimes exceeded demand. In late 2015, the broker sent an email in which it offered customers a price break to help move surplus arms, pelvises and shoulders. Harrison said in an interview that while she always respects the dead, she has a duty to sustain the operation. The 2015 incident outside Las Vegas involving the frozen torso was also the product of a partnership between a body broker and a funeral home. Both the broker, Southern Nevada Donor Services, and the funeral home, Valley Cremation and Burial, were struggling financially. Valley agreed to allow Southern Nevada to dissect and prepare cadavers and body parts at its funeral home. The remains and related paperwork would be kept at Valley’s warehouse in the suburban industrial park, a few miles away. Southern Nevada’s owner, Joe Collazo, had a decade’s experience selling body parts. Court records show he also served nearly two years in prison in the late 1990s for forgery. And a former employer once accused him in a lawsuit of stealing donated body parts valued at $75,000 and selling them to a customer in Turkey. Collazo said his forgery conviction is irrelevant and the theft allegation untrue. His business followed industry best practices, he said, and served an important public service to the medical community. Local and state officials reported that they found other troubling signs, beyond the torso, at the storage facility. These included a bloody, motorized saw typically used by construction workers, and moldy body parts inside an unplugged freezer. Valley is no longer in business, and the owner died, according to state records. Southern Nevada also dissolved – in a trail of debt and desecrated body parts. Seven months after health officials inspected the place, the courtyard remained littered with empty coolers bearing Southern Nevada’s initials. Nearby stood a rusted kiln, a pair of filthy mops and a gunmetal gray coffin, broiling in the desert sun. The only person charged in the incident was Gary Derischebourg, a funeral home employee who said his duties included helping prepare body parts for Collazo. Derischebourg said he was too busy to defrost the torso, so he asked an unemployed friend to do it. Derischebourg pleaded guilty to a misdemeanor pollution citation for the stream of water that contained human tissue. Someone, he said, needed to take responsibility. “I’m a stand-up guy,” he said. As for the defrosted torso? Collazo said he rented it to a group of surgeons, then had it cremated. Today, Collazo is a manager at a car dealership. Derischebourg drives for Uber.